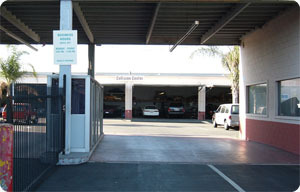 Collision 2000 is a family owned and operated business. We value our reputation for unsurpassed quality and service. Our best endorsment is our finished product. Collision 2000's client base is mainly former customers and those referred by satisfied customers. We use state-of-the-art repair equipment for body structural, and refinishing which assures complete restoration of your foreign or domestic vehicle to its pre-accident condition in safety, function, and appearance. Our shop technicians are professionals; each has years of specialized training and on-the-job experience repairing and refinishing vehicles. Our shop staff includes ASE certified auto body specialists, paint specialists, and detailers. Our office staff will work with your insurance company and assist in getting you a rental car. Call us or stop by for a free estimate. All materials and workmanship supplied by Collision 2000, other than paint and mechanical parts, are guaranteed against defects in material and workmanship in accordance with the provisions of the separate Paint Warranty given to you. Mechanical parts will be guaranteed against defects in materials and workmanship for the term of the manufacturer's.